Brakes are very important for your vehicle to save you and other people from accidents. The brakes provided by the manufacturers last for a long time. But sometimes you need to change the brake. At the time of replacing a break, you might be confused about seeing a number of manufacturers available in the market. Among the manufacturers, I recommend you to keep your trust in Max Advanced Brakes if you are concerned about safety. They offer a wide range of brakes among which you can choose one that you like. Let’s know something about Max Brakes review. 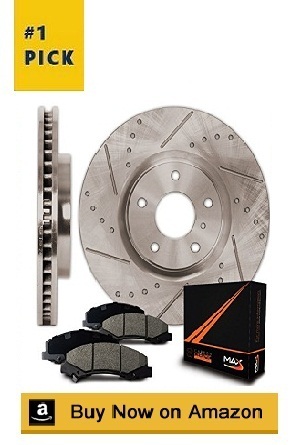 Max Advanced Brakes, a Canadian organization, is one of the leading suppliers of North America who supply brake parts. The organization is founded and run by car enthusiasts, so Max Advanced Brakes knows what will be the best fit for your car. The company operates its operation with a vision of offering automotive aftermarkets with the added safety and quality of original equipment to ensure increased performance and appearance. Max brake parts are produced following a number of international quality standards like ISO9002, QS9000, TUV, etc. The company has an experience of 20 years in this field. As a result, the brake parts from Max Brakes are smooth and ready to be installed in your braking system without any modification. Max Advanced offers four types of brake kits- Elite xDS series, Premium xDS series, Silver xDS series, and premium OE series. It offers a wide range of brake kits under these four series. Here in this article, I’m going to introduce you with four brake kits from these four series. This brake kit comes with excellent braking performance and proven durability. The disk rotors of the brake kits from Elite series are made of G3500 Grade Grey Iron. When there is iron, there is a risk of rust. Rust is one of the most dangerous foes of brakes. Max has a solution. 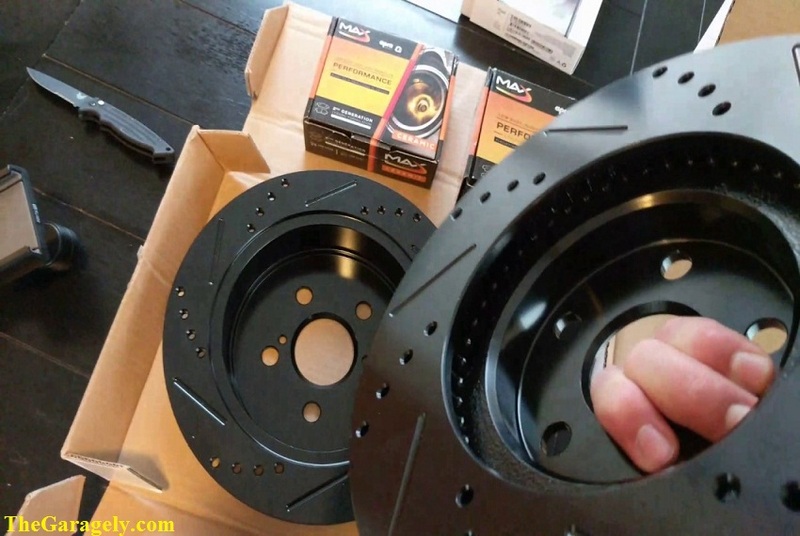 The brake rotors come with Elite Anti-Rust Coating to ensure guaranteed protection from rust and corrosion. The rotors are made by meeting OEM standard. As a result, you can expect the same performance as the brakes that come with your vehicle. You’ll find the slots rounded to make sure that increase brake pad bite. For less heat dissipation at the time of heavy braking actions, the rotors are designed with small countersunk holes. One thing that has astonished me is the quietness of the rotors at the time of braking. I found out that the Double Disk Ground feature has made it possible. Besides, this feature also improves rotor-pad brake in. The brake kits of Elite series are not only quiet but also vibration free too. After manufacturing the rotor by maintaining the highest standard, it is x-ray tasted to make sure that it exceeds the OEM standards. The brake kits come with Max Performance ceramic brake Pads that are manufactured with most advanced materials available. As a result, a brake pad ensures lowest brake dust with the longest wearing. It is prepared with 2nd Generation Formula to ensure durable and consistent performance. If you want to taste a premium braking experience, this brake kit is for you. It is from the Premium xDS series. The whole kit contains two rear and two front brake rotors and compatible brake pads. The brake rotors of this series are made from G3000 Grey Iron to meet or exceed international standards like QS9000, ISO9002, VDA 6.1, etc. G3000 Grey Iron provides perfect strength and balance to the rotor. As a result, you get the experience of vibration-free breaking experience. If you are afraid of rust attack on the rotor, this rotor will keep you tension free. After the manufacturing process ends, rotors are coated with electrolytic zinc plating in order to ensure protection from rust and corrosion. The surface of the rotors is kept confirmed smooth. As a result, optimum braking is ensured. Rotor surfaces come with cross-drilled holes which prevent cracking of the rotor. Besides, these reduce surface temperature by moving air from the rotor. Before being sent to the market, each rotor is inspected with the help of X-ray to make sure that it is perfect. So, you are getting the perfect product for your vehicle. These brake rotors can be used as a replacement for factory-installed original equipment. To do this, you won’t have to modify the parts of your vehicle. The brake pads provided in this kit are 2nd generation Max Performance Ceramic Brake Pads. Being manufactured by Max Brakes, these pads are consistent and firm. Thus, the pads own a fade-free braking power. Quality material is used to manufacture the pads. The material quality along with the advanced formula helps the pads to show consistent performance. The Premium OE series from Max AdvancedBrakes contains the best possible replacements for your original equipment brakes that come with your vehicle. This kit from OE series contains four brake rotors with additional brake parts. Just like the brake rotors from Premium xDS series, rotors of OE series are also manufactured using G3000 Grade Grey Iron. This iron ensures durability and core strength of the rotors. With the electrolyte Zinc plate coating, the rotors are guaranteed to remain rust free for a lifetime. The surfaces of the rotors are kept maximum smooth to optimize braking performance. The smooth surface and mill balanced finish of the rotors ensures the least vibration possible, even at the time of sudden braking. To ensure vibration-free operation, the rotors are X-ray inspected after passing the manufacturing process. With less than 1% defect ration, the brakes from Max Brakes will provide the maximum braking performance to ensure safety. The brakes from OE series are manufactured to meet or exceed Original Equipment Manufacturer specifications. As a result, when you find the manufacturer provided brake of your vehicle is not working like before; don’t hesitate to replace with one of these brakes. Adjusting these brakes to your vehicle is easy as it doesn’t need any special modification. Just like other braking kits, this kit also comes with Max Performance Ceramic Brake Pads. The combination of the pad and OE series rotor is just perfect to give you the taste of using original equipment from the manufacturer. 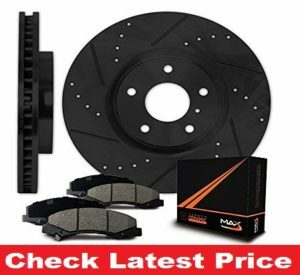 Max Advanced Brakes is a prominent brake manufacturer who provides you with a number of high-performance brakes. The brakes offered by this manufacturer are there for ensuring your safety and improving braking experience. I have personally used a braking kit from Elite xDS series offered by Max Brakes. I was satisfied at the performance. That’s why I recommend you to use it. 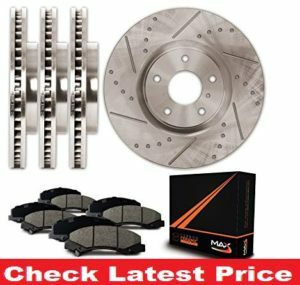 Hope you will find the max brakes review useful and quality one for your car.